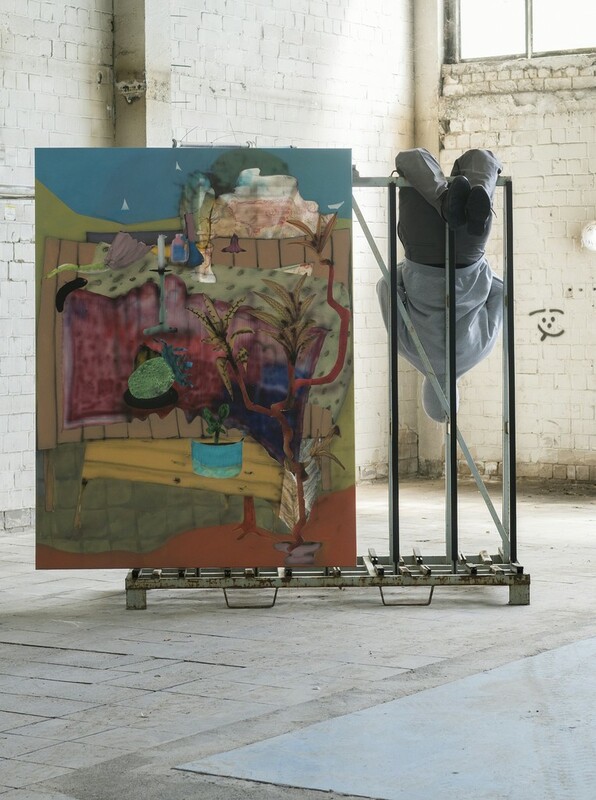 One precondition for Fabian Treiber’s work is Baumeister’s search for the “Unknown“ in which the intended aim solely serves as a method for finding forms within an autonomous pictorial world. Just as inevitable, however, are representational realities. In between these two realms his painterly research takes place. Employing stencils and lacquer spray Treiber makes the format rhythmic. He layers recurring elements until the resulting accumulations delay a direct recognizing of formal doubling. Maybe the time gap is necessary for the viewer in order to realize the representational references that occur in all his works. Space emerges on the picture plane and is dissolved, at times negated, in the next moment of seeing. With elements taken from the real world of objects the artist eludes a self-referential private language. 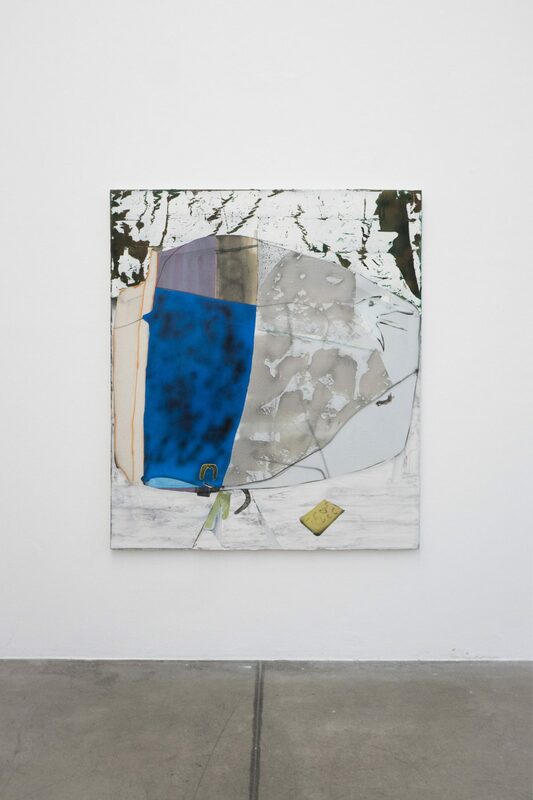 Moving between abstraction and representation Treiber invents pictorial worlds which he does not tell of, but which can be experienced as autonomous painting itself. The formed colors are no illustration of this open attitude; they rather speak about a genuine search for uncharted territory. With this approach, coined by intuition and experience, Treiber manages to find rather than create images. The fact that he takes risks and does not shy away from making assertions is an asset to his painting.